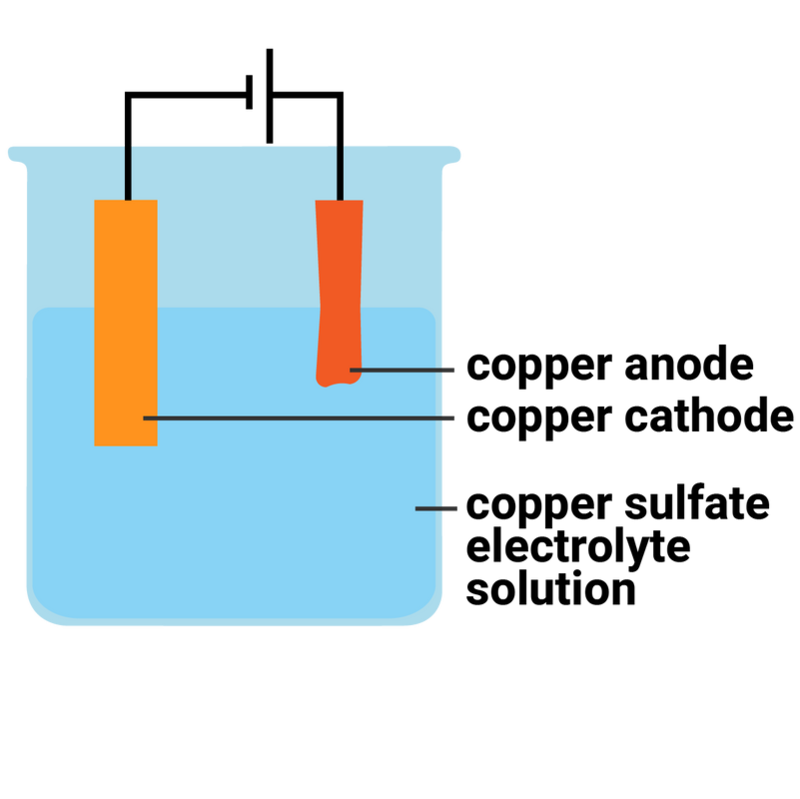 This involves setting up an electrolysis to investigate the effect of changing the current on the mass of the copper electrodes used in the electrolysis of copper sulfate solution. The second part of this investigation covers the products formed during the electrolysis of copper sulfate solution using inert (graphite) electrodes. 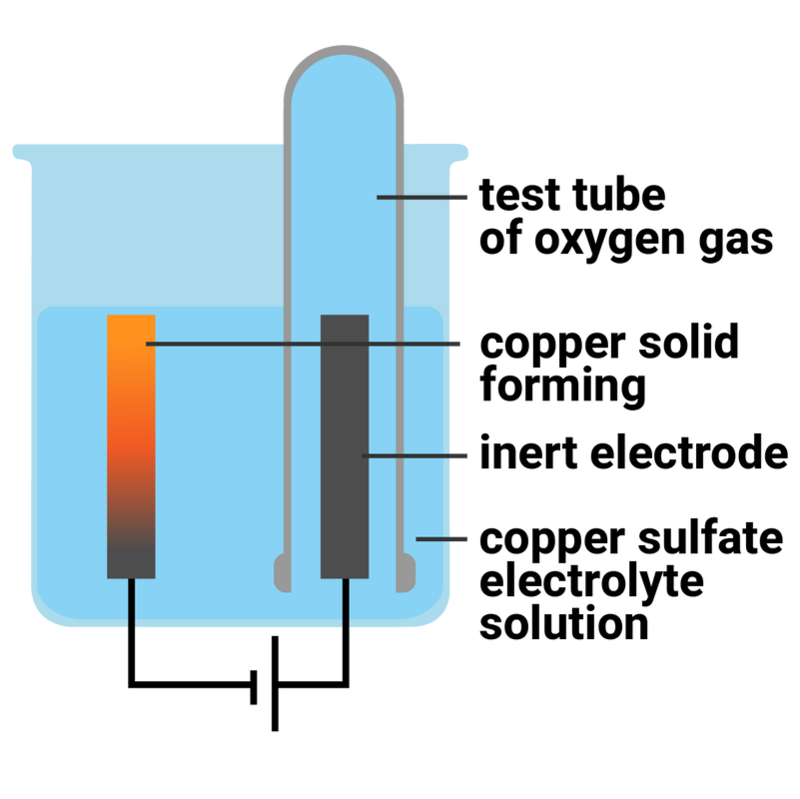 Quantitative analysis when using copper electrodes will be expected. As the current is increased the change in mass of the electrodes becomes greater.